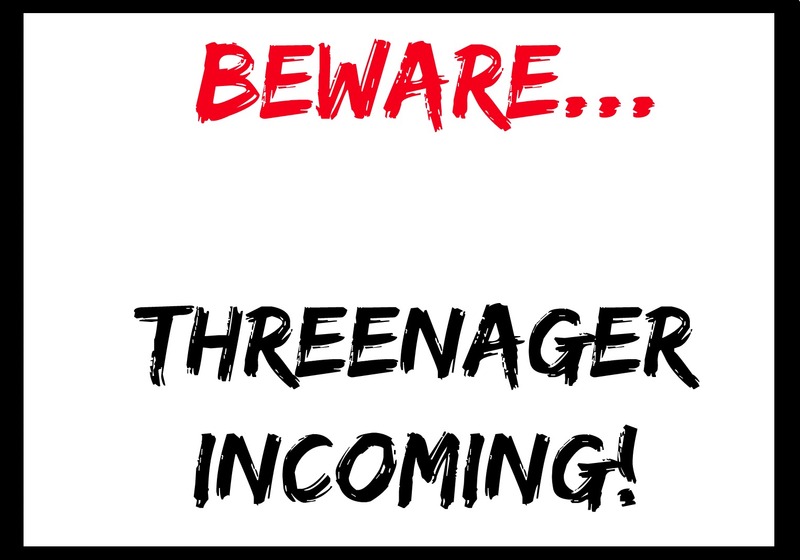 "Threenager" - I used to laugh out loud at this phrase when I heard it first, some where in the middle of the terrible two's, surely it couldn't be worse than that phase right?! Life has become easier on some levels as L is now older and can comprehend much more, he's a very sturdy and independent little boy. Sometimes this independence turns into outright stubbornness, I blame his Dad, he gets that streak from him. Three brings a maturity I didn't expect my not so little baby to have. We can reach a compromise without as much fuss and he's beginning to learn patience, although we are only starting on this skill, his patience only lasts a mere few seconds at the moment. Three means I can't fob him off with baby answers anymore apparently. He won't except a short answer or explanation and he'll keep on asking questions until it is clear in his head and he's satisfied his curiosity. My mother would tell you I was the same at his age. Three has him asking the funny questions and making hilarious statements, such as the dreaded "Why don't girls have willies?" "Is it only mans and boys who have willies?" I divert all willy questions to his father! 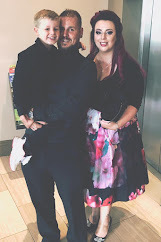 My niece Jade had a baby recently (my gorgeous godson Eliot) and he was having a bit of trouble grasping the fact that we would now call her mum so L started calling her mum too instead of her name. Today though she was neither Jade nor Mum and when I asked him what her name was he said "Just nothing" through gritted teeth. He obviously is still mulling over the whole name debacle in his 3 year old head. Three means indecisiveness, oh yes there's lots of that especially when it comes to food. "I want crackers and cheese for lunch please". Sure kiddo no problem, I bring in his requested lunch "I don't want cheeeeeeese" he wails at me, did I just imagine our little lunch convo a few short minutes ago?! He recognises foods he doesn't like either, like peppers, although he did like them before, if he even catches a glimpse of one in his dinner it could turn him off his whole dinner! There'll be lots of disguising of foods happening now. This three year old has the memory of a elephant, he remembers everything! At the end of the Christmas holidays he was telling me about something that had happened at school weeks ago, a lot of his conversations start with " Do you remember from the last day...", and if you tell him you'll do something tomorrow don't worry about forgetting because he will remind you and keep on reminding you. Three is fun though, especially when you ask him to do something and he answers with an "Arrghhh", like is he thirteen or three?! Or when you try to take the tablet off him becauses he's been on it long enough, there's a whole lot of bargaining going on there to avoid a meltdown. Or when it's time to get dressed, the kid loves his pjs and would stay in them all day if he could. Shoes, that's another fun one too, he has no problem running around outside without any, no matter the weather, cue me running around after him, shoes in the air. Three also means he can express himself much better. 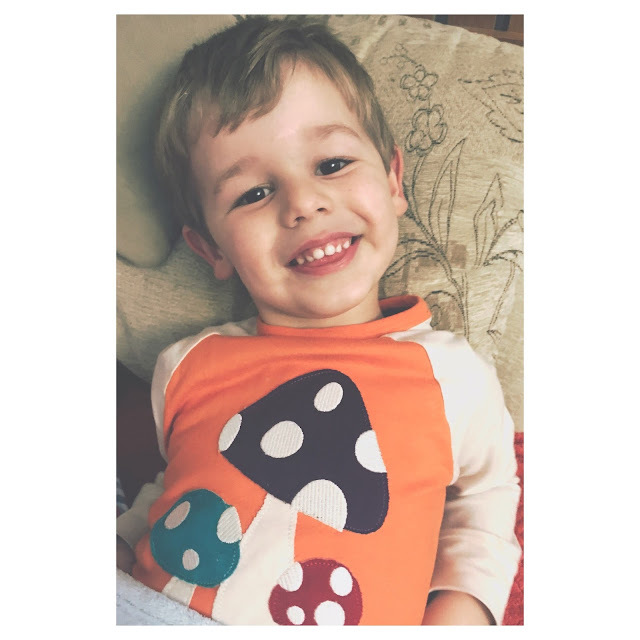 He can tell me if something annoys him or if he didn't like something at school, like one day he told me one of his friends was being "just a bit too rough today Mum". The random kisses on the cheek or the head on my shoulder with a little "I love you Mum" when he's tired. Three is hard work but no harder than the previous phase I think, they all bring different challenges but we've just got to roll with it don't we?! *It's that cheeky smile right there that let's him off the hook with most things too!